© 2018 MOJANG. MINECRAFT IS A TRADEMARK OF MOJANG SYNERGIES AB. This New Nintendo 2DS LL “Minecraft” edition is one of Nintendo’s most unusual releases to date. 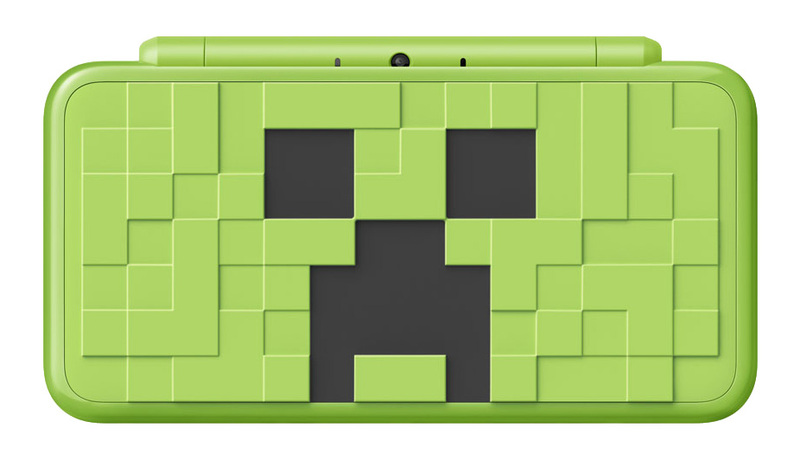 The console’s cover shows the face of a Creeper, “Minecraft” enemy characters that chase players and explode, The special edition is to commemorate “Minecraft: New Nintendo 3DS Edition,” which was released last fall. Limited-edition handhelds are common, but they are usually based on games owned by the platform. “Minecraft,” however, was developed by Swedish game studio Mojang, which Microsoft bought in 2014, making it a Microsoft, not Nintendo, game. While it’s unusual for a first-party game company to release a title on a rival’s platform, both Sony and Nintendo have released versions of “Minecraft” on their hardware. This “Minecraft”-logo-emblazoned Nintendo hardware proves that the Microsoft game is so good and beloved that it truly transcends platform rivalries. 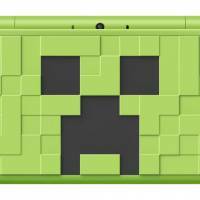 The “Minecraft” New Nintendo 2DS LL Creeper Edition will be released on Aug. 2 for ¥18,338 and it comes with “Minecraft: New Nintendo 3DS Edition” preinstalled. During the 1990s, SNK released some of the greatest arcade games ever. 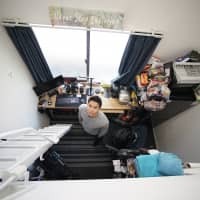 Now, the Osaka-based game maker is putting its game-center experience in the palm of your hand. Other big players Nintendo and Sega have released miniature versions of their home consoles, but SNK is putting a different spin on its plug-and-play release by making it a 16.2-centimeter-tall arcade cabinet, featuring a 3.5-inch screen, a joystick and four-button layout. A mere 390 grams, the Neo Geo Mini is packed with 40 classic titles, marking the company’s 40th anniversary. 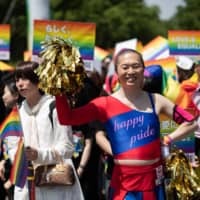 Included are some of SNK’s greatest fighting games from its “The King of Fighters” and “Samurai Shodown” series, plus a number of retro arcade gems such as scrolling shooter “Blazing Star,” soccer game “Super Sidekicks” and the first three “Metal Slug” games. Players can save games directly to the Neo Geo Mini and, thanks to an HDMI slot, they can also play on big screens. The miniature arcade cabinet also has two controller ports, so players can plug in regular-sized controllers. For those who want to game on the go, you will need a portable USB battery. 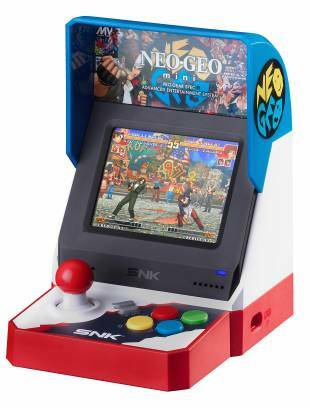 Released on June 24 and priced at ¥12,420, the Neo Geo Mini is a pint-sized look back at one of the giants of Japanese arcades that should satisfy retro-gaming fans. 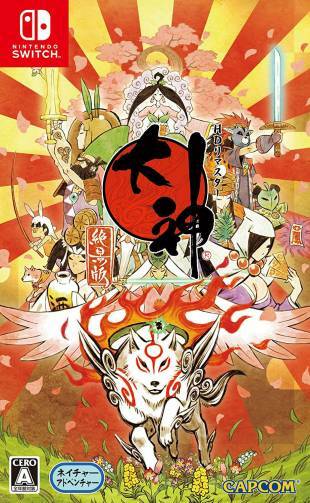 Capcom’s “Okami” is repeatedly described as one of the most beautiful video games ever made. Originally released in 2006, it continues to impress with its graphics, gameplay, elegance and originality. There’s really nothing like it. “Okami HD” (“Okami: Zekkeiban” in Japan), a newer polished version of the game was released on PlayStation 4, Xbox One and PC last December. Now it’s headed to Nintendo for a Switch version that allows touchscreen controls and Joy-Con motion controls. In “Okami,” players are a wolf version of the Shinto deity Amaterasu, with the game’s title being a pun on the Japanese words for “wolf” and “deity,” both pronounced “ōkami.” Amaterasu wants to bring light back to the world, and the game is filled with Shinto and traditional Japanese imagery and references to legends. “Okami HD” uses the Switch’s touch controls for its Celestial Brush-based moves, such as unleashing attacks and causing flowers to bloom. Okami HD will be released on Aug. 9 for ¥3,229 for the package version and ¥2,990 for the downloadable version.